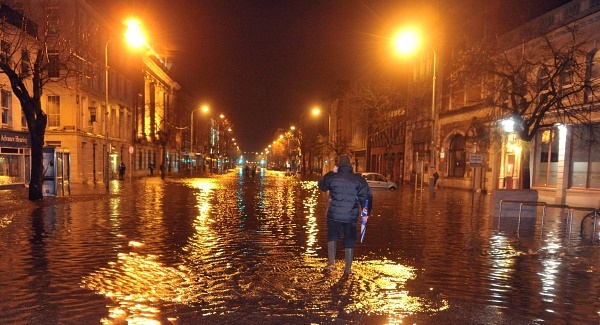 With the recent heavy flooding in all parts of Ireland, and more flooding expected on the way, we thought we would share some information with you relating to water damage. Clean water poses no substantial harm to humans if treated correctly. It originates from sources such as water supply lines and bath or sink overflows with no contaminants. Gray water has the potential to cause discomfort or sickness. It contains a significant level of contamination. Examples include, discharge from dishwashers or washing machines and toilet overflows. Time and temperature aggravate category 2 contamination levels. Gray water remaining untreated for longer than 48 hours may change to Black water. Black water contains pathogenic agents and is grossly unsanitary. It includes sewage and contaminated water sources such as sewage backups, all forms of flooding from seawater, ground surface water and rising water from rivers or streams. Avoid disposal of items which may be part of an insurance claim until your insurance company has given authorisation. These items must be kept for inspection and valuation. If it is possible that any wiring may have been damaged by water the electricity should be disconnected from the main supply. Organise the placement of aluminium foil under legs of any furniture which is in contact with wet carpet. This might help prevent furniture stains on your carpet. Water from dishwashers, washing machines, toilet overflows or external flood sources has the potential to cause discomfort or sickness as it contains a significant level of contamination. Be health aware. Never place newspaper in traffic areas to walk on, since newspaper ink transfers easily to the wet carpet fibres and may result in permanent staining. Timing is everything. A fast response is critical to minimising the damage caused by water. Electrical devices that are in contact with wet carpet should be unplugged and moved only if the electricity is disconnected from the main supply. Remember to pin up upholstered furniture skirts which may get wet. Never use a vacuum cleaner, since electrical shock may result, as well as certain damage to the equipment itself. Organisms such as bacteria, mould and viruses will flourish in wet and damp conditions. Correct action and timely intervention by a suitably qualified company will prevent such growth. Always wear gloves when handling contaminated items.